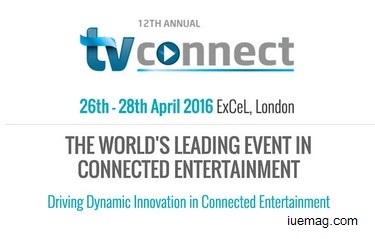 London, 16 February 2016 - TV Connect, the world’s leading event in connected entertainment by Informa Telecoms & Media, today announced the addition of several noteworthy speakers from leading global technology and media companies for the upcoming TV Connect 2016 from 26-28 April. “I am looking forward to TV Connect because in a world where technology is constantly changing the way we watch and enjoy our entertainment, it is always invaluable to learn about the next big thing,” said Hugh Westbrook, Product Lead, Sky News. “TV Connect is the unique annual opportunity for me to gain insight and knowledge of cutting trends in media consumption and distribution,” echoed Murray Barnett, Head of Commercial,Broadcast & Marketing, World Rugby. “We're nearly two months away and we already have an outstanding line-up of executives willing and ready to share their insights that will challenge the boundaries of next generation entertainment on a global scale,” echoed Jake McNulty, Head of Marketing at Informa Telecoms & Media. For more information on TV Connect 2016 including how to attend, exhibit, sponsor or enter for the TV Connect Awards, visit http://tvconnectevent.com. Follow TV Connect developments and updates on Twitter or Facebook. Please note it may be possible to arrange interviews with speakers at or ahead of the show. If this is of interest, please contact us on the below eMail ID. Any facts, figures or references stated here are made by the author & don't reflect the endorsement of iU at all times unless otherwise drafted by official staff at iU. This article was first published here on 1st March 2016.